President Obama is in New York ahead of his address Tuesday to the United Nations. But this date in history is the anniversary of two very different kind of political speeches. Over the last seven decades, pets owned by presidents, presidential candidates—and even vice presidents—have proven irresistible to campaign speechwriters and partisan attack dogs. This is a precedent dating to Americans’ appreciation for the bond between Franklin Roosevelt and his beloved Scottish terrier, Fala. Although it was late in the political calendar, Franklin Roosevelt’s Sept. 23 speech at the Statler Hotel constituted the de facto kickoff for his fourth campaign as president. Speaking at an event sponsored by the Teamsters, the old warrior had two goals in mind: First, to allay concerns about his health, the president wanted to show he still had the requisite passion for a national campaign. Second, FDR was trying to get under the skin of Republican nominee Thomas Dewey. The speech, which succeeded on both levels, is today remembered mainly for a telling passage about Fala. A word of background will help explain the context. That summer, while Democrats were nominating Roosevelt for an unprecedented fourth term, the commander-in-chief was at sea, touring the Pacific theater before the final push against the Japanese. Roosevelt was accompanied on this cruise by Fala. Nothing strange in that: Over the past five years, Americans had become accustomed to reading about the dog or seeing him in newsreels: Fala having to be shooed to the backseat in a presidential limousine; Fala turning 4 and refusing to cooperate with White House photographers by eating his birthday cake; Fala fidgeting on a couch in the Oval Office as the president held a D-Day press conference. But somehow a rumor got started that the president had left Fala behind on final leg of the trip and that upon discovering this oversight in Seattle, had dispatched a U.S. Navy warship to the Aleutian Islands to retrieve him. This tale was unlikely, but such gossip takes a life of its own in a campaign, whether the year is 1944 or 2012, and this one was repeated by a Minnesota Republican congressman named Harold Knutson. Instead being dispatched “a thousand miles” to fetch the president’s dog, Knutson sniffed, the ship should have been engaging the enemy. Knutson’s geography was off—it would have been a lot further than 1,000 nautical miles—but more to the point, the rumor was untrue. And although Dewey never went near the bogus story, Roosevelt saw his advantage and took it. In his speech at the Statler Hotel (now known as the Capital Hilton), Roosevelt hit on themes still being employed by Democrats today. FDR attacked the conservative wing of the Republican Party, while questioning whether moderates could stand up to it; he claimed Republicans were trying to make it harder for his supporters who lived overseas to vote; he accused his opponents of lying and making pernicious use of contributions of large donors. Mostly he defended organized labor and boasted of his own economic policies while disparaging those of the other guy. “These Republican leaders have not been content with attacks on me, or my wife, or on my sons,” he said. “No, not content with that, they now include my little dog, Fala. I don't resent attacks, and my family doesn't resent attacks, but Fala does resent them. 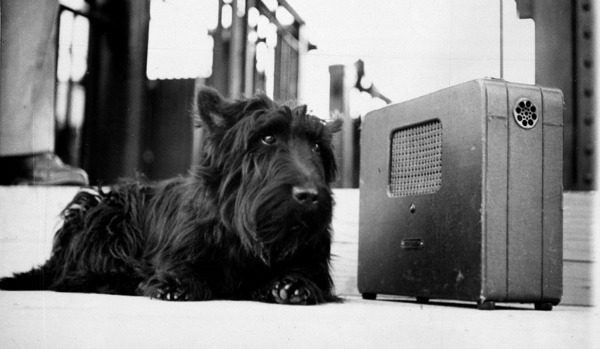 “Being a Scottie, as soon as he learned that the Republican fiction writers in Congress and out had concocted a story that I had left him behind on the Aleutian Islands and had sent a destroyer back to find him—at a cost to the taxpayers of two or three, or eight or twenty million dollars—his Scotch soul was furious,” Roosevelt continued, as his audience began laughing hard. Eight years later, another dog played a role in presidential politics. The 1952 campaign pitted the Democratic ticket of Adlai Stevenson and John Sparkman against Dwight Eisenhower and Richard Nixon. In those days, the phrase “party bosses” had meaning, and neither nominee chose his running mate, which is how it happened that Nixon—a much less happy warrior than Roosevelt—found himself talking about his family dog. The controversy was sparked by something more real than the fake story about Fala. It was about a political fund set up by wealthy California conservatives to defray Nixon’s travel and political expenses. The amount involved seems so trivial today—some $18,000—that it’s hard to imagine the media frenzy at the time. Eisenhower was urged by Democrats, the media, and even some Republicans to dump Nixon from the ticket. Protestors carrying placards with wild assertions greeted Nixon’s campaign train, which was beginning to resemble a traveling circus. In a desperate gambit to save his candidacy, and his career, Nixon gave a prime-time speech that would ultimately did both. Its most memorable passage was directed at his wife, Patricia, whom one protestor had accused of using the travel fund to buy a mink coat. Nixon began the Checkers speech by saying that the best way to deal with a political smear was to confront it with the truth. He then walked the American people through the details of his very middle-class life. It was a sweet touch from a man not known then or later for sweetness. Indeed, the Checkers speech then segued into an attack on Nixon’s opponents, and the Democratic administration then in power. As for Checkers, Nixon employed the little dog as a rhetorical transition from family man to tough pol. “One other thing I probably should tell you because if we don't they'll probably be saying this about me too, we did get something—a gift—after the election,” Nixon said. “A man down in Texas heard Pat on the radio mention the fact that our two youngsters would like to have a dog. And, believe it or not, the day before we left on this campaign trip we got a message from Union Station in Baltimore saying they had a package for us. We went down to get it. You know what it was? Although Checkers the dog did not live long enough to take up residence in the White House, he survived another 12 years after the speech that bears his name and is buried at a pet cemetery in Wantagh, Long Island. As for Fala, he outlived his master, and traveled north the day after Roosevelt’s death from Warm Springs, Ga., in the mourning party’s motorcade, nestled at the feet of the first lady. Fala lived until 1952, but according to Eleanor Roosevelt, “he never really adjusted” to life without FDR. He lived out his life never giving up hope.